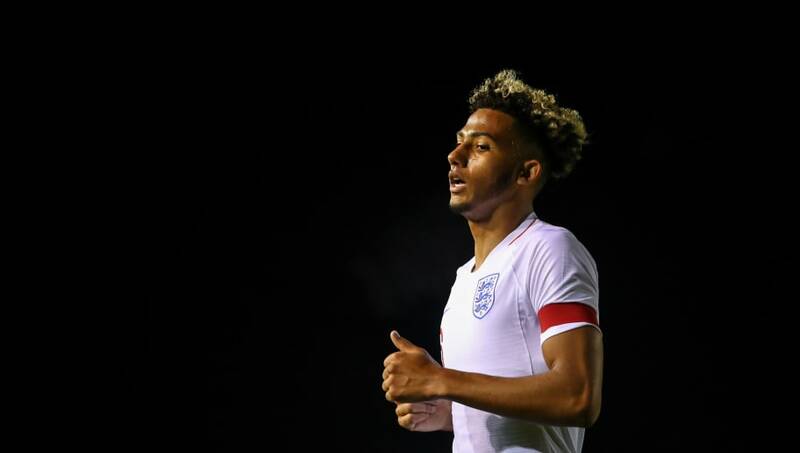 ​Arsenal are reportedly just one of a host of Premier League clubs monitoring the progress of Bristol City's young defender Lloyd Kelly, following news that Rob Holding will be out for the season. The 20-year-old has already made 18 appearances for the Robins during the current campaign and reports suggest Arsenal will be challenged by Man Utd, Liverpool and Tottenham in the race for Kelly's signature. ​The Mirror are now reporting that ​Arsenal are 'keeping tabs' on the youngster with a 'view to a permanent deal in January.' The youngster was watched by scouts in the Robin's 1-0 victory at Birmingham at the weekend and impressed as he helped his side to a clean sheet. Kelly has enjoyed an incredible breakthrough season at the club he joined at the age of 13. He has established himself as a first team regular at left back and was appointed captain of his Under-20 England side, making it a whirlwind few months for the youngster. If the interest in him develops, Kelly could be making another huge step up sooner rather than later. After injuries to Aidy Boothroyd's Under-21 side, Kelly was called up and performed excellently against both Italy and Denmark and thus appears to have caught the eye of Unai Emery and Arsenal. Arsenal are in the market for a new defender following news Rob Holding will be out for the remainder of the season after rupturing his anterior cruciate ligament in the Gunners recent 2-2 draw at ​Manchester United. Holding had established himself as a first team regular forming part of Emery's back three that has proved so successful along the Gunners current 22-game unbeaten streak. If reports are to be believed, the north London side will have to move quickly to get their man as they are believed to be challenged by rivals ​Tottenham, ​Man Utd and ​Liverpool who are all chasing the rising English star.